Pepperell is well documented for his outlandish, satirical twitter feed, which often pokes more fun at himself than others. But when he was called out for his latest jibe about women's rights in Saudi Arabia, he took to his blog to explain not only why he feels humour is important, but why he's playing in the event this week at all. Dustin Johnson, Brooks Koepka and Justin Rose have already been asked about their decisions to play in the Saudi International, and while Koepka said he wasn't 'going to get into it', Dustin Johnson and Justin Rose opted to dissociate themselves from the political and moral questions surrounding the tournament by stating they were just there for the golf. “I’m going over there to play a sport I’m paid to play," said Dustin Johnson. "It’s my job to play golf … Unfortunately, it’s in a part of the world where most people don’t agree with what happened, and I definitely don’t support anything like that. I’m going to play golf, not support them." “I’m not a politician, I’m a pro golfer,” Rose echoed. “There’s other reasons to go play it. But you can always count on Eddie Pepperell to be more thorough on a question, and a country, that has more than one complication. "It clearly is true that Saudi Arabia's human rights record is questionable at best, and appalling to anyone in the West," Pepperell writes. "But should that mean we boycott competing?" Below, he explains why he feels that this issue isn't as straight forward as that might seem. The European Tour has come under intense scrutiny after confirming that the Saudi International would become a part of the 2019 schedule. Why? It was announced in the wake of the murder of US-based journalist Jamal Khashoggi in the Saudi consualate, thought to have been ordered by Prince Mohammed bin Salman after Khashoggi spoke out against him in his Washington Post columns. The killing is currently being investigated by the United Nations. In addition, criticism was drawn about the attitudes and repressive legality surrounding women and LGBT human rights in the Middle Eastern country. It's a place where all women are required to have a male guardian, and must seek their permission to travel or have an education, among other human rights someone like myself wouldn't think twice about. Until June 2018 Saudi Arabian women weren't allowed to drive, and it was only in January this year that a new law was being introduced to stop men from divorcing their wives without telling them. With the multi-faceted issues of the Saudi Arabian regime coming to light, the conversation quickly turned to a question of morality and whether a tournament should be staged in such a place. Should golf be played in a country that has an ideology and regime so far removed from our Western world, simply to aid the purse strings of the European Tour? The European Tour's Keith Pelley called the relationship with the Middle East 'very important' and said it was key to host an event there because nowhere in Europe would be able to host at this time of year. "We have an excellent relationship with the Middle East, and it's very important," he said. "We can't play anywhere in Europe this time of year. The Middle East becomes very important to us, from a climate perspective, to the ease of travel, to the quality of golf courses." The onus is clearly on the European Tour for staging a tournament here: If there is golf to be played, titles and money to be won, it's undeniable players will come - even to country that forces them to place the importance of their livelihoods far above above their morality. But does that make it right? With a prize fund of $3,500,000 the Saudi International is the best paid regular event on the European Tour's schedule outside of the four majors, WGC's and rolex series events. And with four of the World's top five players reportedly being paid big appearance fees to be there, it also means there are plenty of world ranking points on offer. 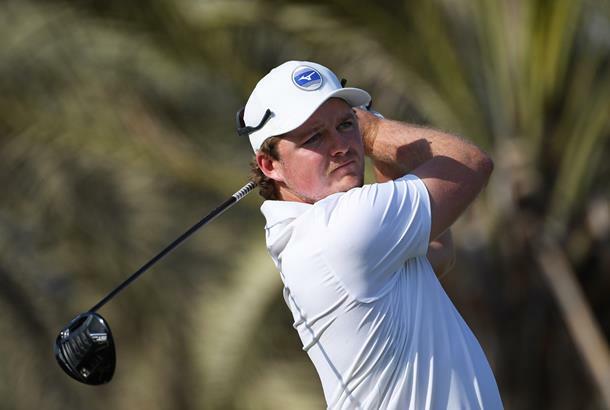 It's one of the key reasons that Eddie Pepperell is playing at Royal Greens G&CC this week. For him, boycotting the event would do nothing but reduce his own fortunes - not solely in monetary value, but rather in terms of world ranking points and the domino affect that might have on his schedule. In his latest blog post, Pepperell also brings up what he sees as the difficulty with putting morality as the only issue at the center of playing in this tournament - and why for the players, 'competition supersedes morality' in this case. "The problem with taking a moral approach to us golfers playing in Saudi Arabia this week is that it would lay bare many contradictions of the past," Pepperell writes. "Like, for example, why do we play in China? Or Qatar? Or Turkey? Depending on your time scale, you could argue that every country on earth has at some point exemplified the worst that human beings have to offer, but back to 2019. It clearly is true that Saudi Arabia's human rights record is questionable at best, and appalling to anyone in the West. But should that mean we boycott competing? "That probably depends who you are. I can really only speak for myself, and plus, remember I'm not being paid to be here, so I'm only slightly less immoral than the top guys who have showed up. For me, if I didn't play, I sacrifice the opportunity to play against the best in the world, I miss a chance to improve my world ranking also, which objectively speaking, does hold some importance for me, since if I fall out of the Top 50 before April then I won't be eligible for a PGA Tour event I have scheduled to play. And that means losing flights etc and having to pay for new ones, which you might say is no problem because I've earned a lot of money lately, though resentment isn't good for anybody. "This week throws up a not new conundrum for us then; that competition supersedes morality. If I don't show up, the field doesn't reduce a spot, somebody takes it. With over 7 Billion people in the world, our futures might give us all an opportunity to choose between morality and survival. This isn't to say morality isn't important and should never be acted upon, but it is to say that there's a reality to the world that while we might all dislike, still exists." Of course, there are players who are deliberately skipping the Saudi International. Tiger Woods reportedly turned down a seven-figure appearance fee, while UNICEF ambassador Paul Casey declined to attend. “There are a lot of places in the world that I have played and continue to go, which you could question … some human rights violations that governments have committed,” he said. "I thought I'd sit this one out."